During early 2011, Andrew was told about The X Factor, a singing reality show, and how it was coming to the USA. Andrew decided to audition for the show. Throughout spring 2011, Andrew made it through auditions with producers and was told he would be auditioning in front of the judges. Andrew decided to leave SLATR to focus on The X Factor. 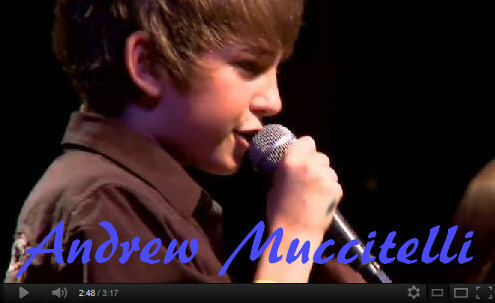 In May 2011, Andrew auditioned in front of the judges on The X Factor. He sang “Rolling In The Deep” by ADELE and a little bit of “Price Tag” by Jessie J. He made it through to the next round, boot camp, with three yes votes from the judges. In July 2011, Andrew went to Pasadena, CA to compete in boot camp. For the first round, contestants were able to perform a song of their choice. 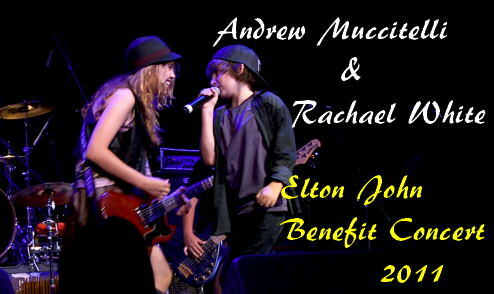 Andrew performed “The Edge of Glory” by Lady GaGa. Andrew notes that the judges looked very pleased and that he felt the performance went great. Once again he made it through to the next round. For the next round, contestants were put in groups. Andrew’s group performed “Superman” by Five For Fighting. While his performance was not aired for that round Andrew once again pulled it off. For the final round, contestants had to choose a song from a list to perform. Andrew performed “Jar of Hearts” by Christina Perri. He felt very confident. Unfortunately, Andrew did not make it through to the top 32 and his journey on X-Factor ended. Andrew on X-Factor after announcement! After The X Factor, Andrew started to take songwriting and his music more serious. The Friday after Andrew was eliminated from The X Factor, Andrew recorded some covers and a new song, “Love Song”, in a local studio. 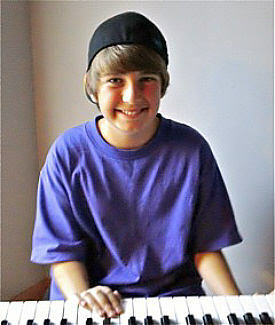 From then until now, Andrew has been writing songs that he hopes to record and perform. Andrew tries to perform locally whenever he can. 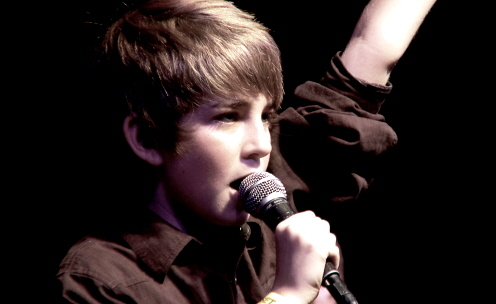 In April 2012, he performed at the Westlake Street Fair. Three of his biggest fans came to support him, wearing supportive t-shirts and waving posters. As of now, Andrew is working on multiple YouTube covers and is still writing songs. 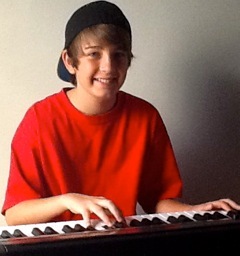 His vocal teacher assists him in his songwriting and improving his vocals. He is also learning how to play guitar for future shows. When he isn’t playing music, Andrew likes relaxing. Watching TV or social networking are some of his hobbies. He also enjoys spending time with his friends and playing with his dog, Cher Bear. Andrew lists his favorite foods as cheeseburgers, hot dogs, tacos, pizza, chili and Pepsi for his favorite drink. Musically he has been most influenced by, Maroon 5, Coldplay, Semi Precious Weapons, Neon Trees, Lady GaGa, Usher, and Rihanna. Andrew’s favorite movies are “Step Brothers”, “Role Models”, “Super 8”, “Bridesmaids”, and all of the Harry Potter movies. His favorite books are “The Book Thief”, “The Maze Runner”, and the Harry Potter series. His favorite events include Fright Fest at Six Flags, the Conejo Valley Days, and the VMAs. While Andrew does not watch or participate in sports he is a straight “A” student, and is a part of his school’s student government. In addition he is very active in his school’s anti-bullying programs. There are good things on the horizon for Andrew and I have no doubt that he will continue to enjoy great success. The charisma that he demonstrates in his performances is not only captivating but exhilarating. While he may not have continued his journey on the X-Factor show, his journey continues, and not just for a season but for a lifetime. Andrew is a winner in every respect of the word and defiantly one to keep an eye on in the future. 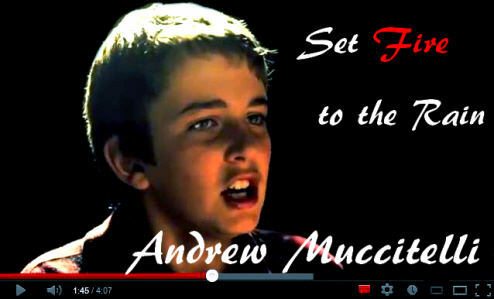 Remember the name Andrew Muccitelli because this boy is destined for stardom!